More great content and extras for fans! 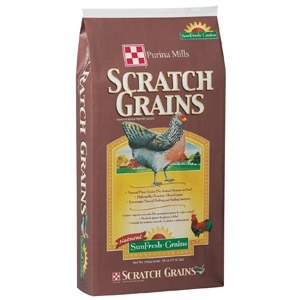 A natural blend of high-quality grains to be fed as a supplement to adult chickens, ducks, geese and turkeys to encourage natural pecking and feeding instincts. SunFresh® Grains takes “natural” to a whole new level by using only the freshest, highest quality sun-grown grains FREE of all animal proteins and fats to give birds the safe, healthy goodness and fresh taste they deserve. © 2019 Griff's Farm & Home Center All rights reserved.